Nestled in the heart of a stunning natural area, the Castellas campsite is the perfect place for holidays with both family and friends. Come and enjoy the many activities for both little and big here on this 24 hectare site. 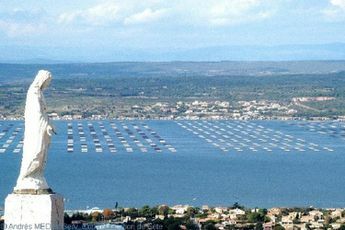 The campsite is located just 5km from Marseillan-Plage, 15km from Sète and 18km from Valras-Plage. The Castellas campsite has a direct access to the beach, ideal for relaxing and swimming in the sea. By staying at the Castellas, you’ll have access to a waterpark with pools and huge slides. Your little ones can also make the most of the play area and take part in numerous activities at the kids club (mini-club from the age of 4 and teen entertainment between 13 and 17 years old). The campsite regularly organises volleyball, basketball and boules tournaments as well as evening entertainment for the whole family to enjoy. Onsite, discover a restaurant, bar, snack-bar, grocery store, laundry room and internet access. For your family outings, try some of the local specialties from the surrounding villages. 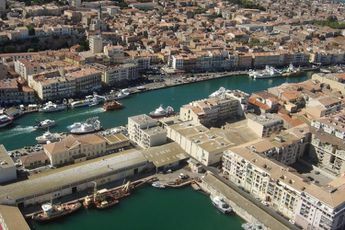 Frontignan, Agde and even Vias-Plage allow you to discover numerous historic monuments as well as fantastic activities (water sports, extreme sports). The Castellas is one of the best campsites in Sète, book your mobile-home now for an absolutely fabulous holiday! This campsite is part of the Tohapi group which is renowned for the quality of its establishments. By booking directly through Camping-and-Co, you’ll benefit from all the advantages a Travel Agency has to offer as well as the possibility of directly taking out holiday insurance. Choose your holiday rental and quickly book at the Castellas campsite on our website for a guaranteed successful holiday. 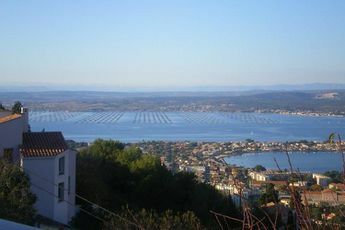 Nearest town Sète (15 km). 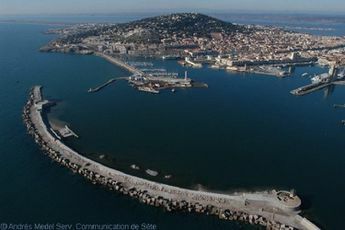 Just 45km from Montpellier, the capital of the region of Languedoc-Rousillo, the village of Sète lies at the foot of Mount Saint Clair, nestled between the Thau lake and the Mediterranean Sea. 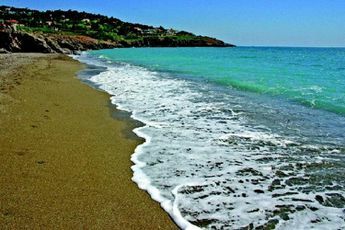 You'll enjoy sunbathing on its 12km of beachs. There are many activities available in the nearby area. Discover small towns and villages with rich heritage sites, succulent culinary specialities and magnificent views between the sea and the mountain. You can also try various water activities and extreme sports!